Fashion | Vim & Vintage - design. life. style. 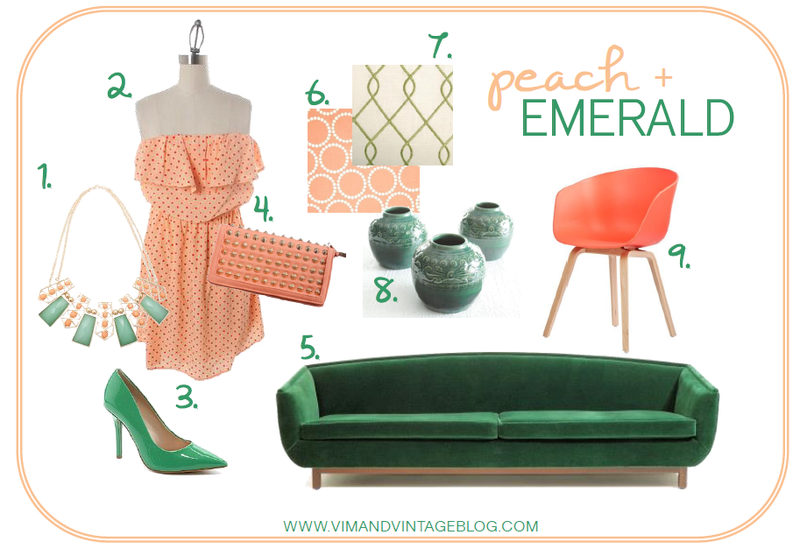 Bold emerald green matched with soft peach is both flirty and fierce! I’m loving these 2 colors together. Do you think these 2 colors work well together? Would you use them in an outfit or your home? So 2013 is the year of Emerald according to Pantone. Instead of boring you with yet another post about it, I will introduce its distant relative, and equally as fashionable counterpart: mint. 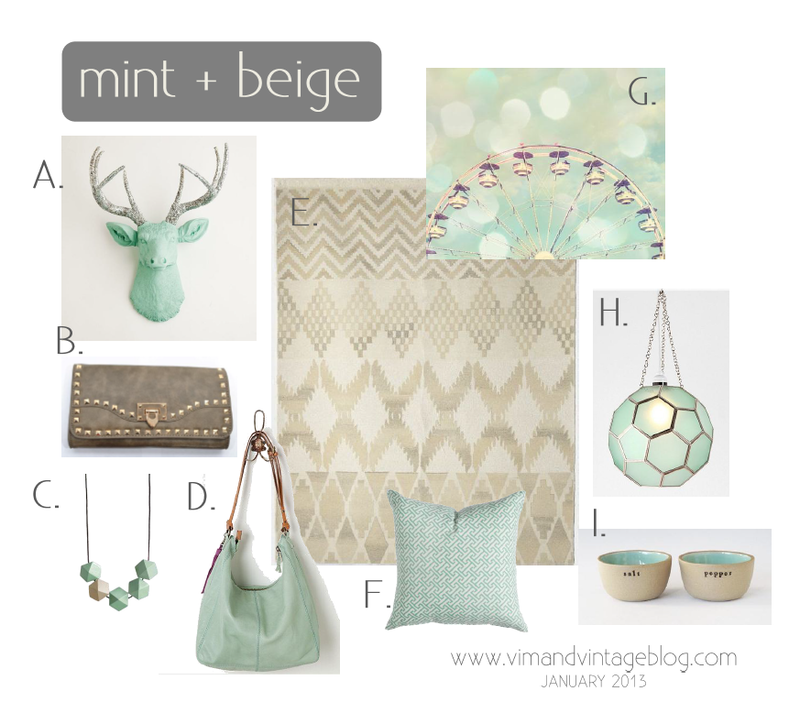 Mint is popping up everywhere, from the runway to furniture pieces. It’s serene and refreshing. Pair it with a creamy beige or khaki! Here’s some inspiration shots…. In a cozy living area. Even in a kids playroom. 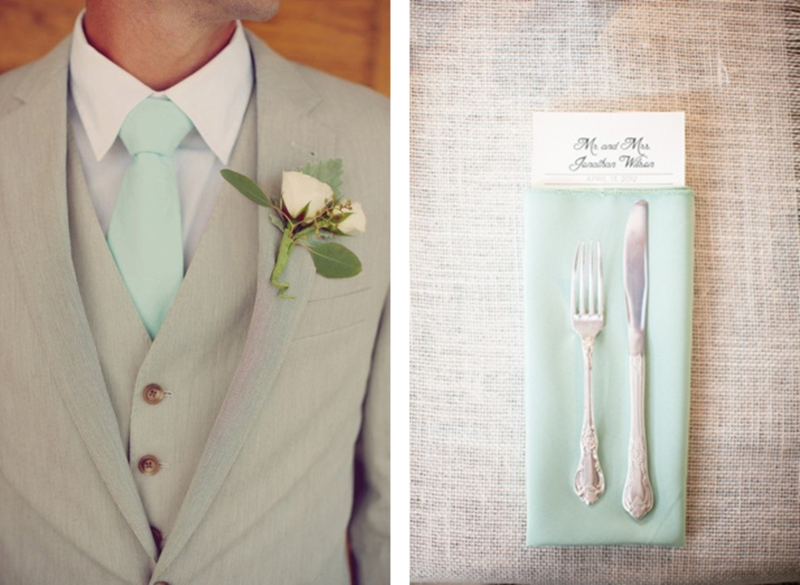 Oh and for weddings I just love this palette! !